You have a right to life with dignity. You have a right to adequate shelter, to food, to safe drinking water, and to sanitary hygiene facilities. You have a right to health care, to remain with your family, to privacy. You have a right to access humanitarian aid. You have a right to be safe. Your government owes you these and other rights. They also owe you a remedy for the harm that’s caused when these rights are violated. You also have a right to control your destiny. A disaster response system has been put in place that may or may not have been designed with your input. 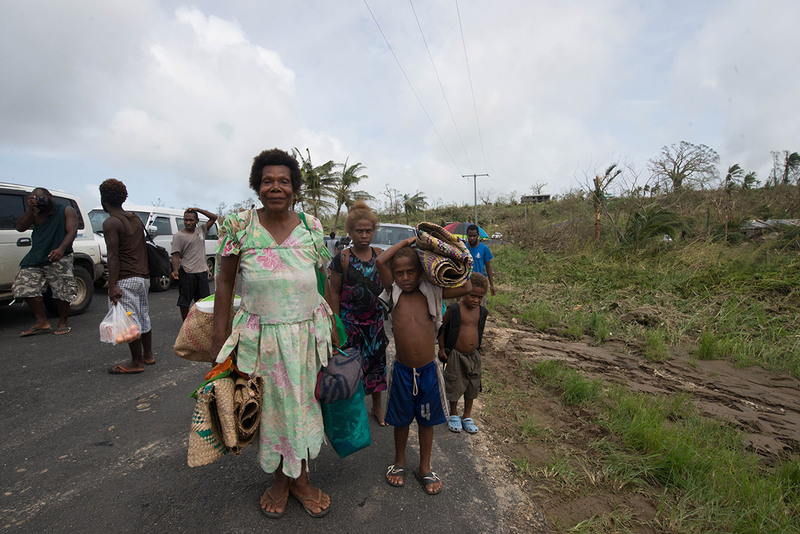 But the right to “consultation,” as lawyers call it, means that decisions about camps and shelters (and every other aspect of the response and resettlement) – whether made by the government of Vanuatu, the UN, an NGO, or other international actors – must reflect YOUR priorities, not theirs. If you don’t have a seat at the table, if your voice is not being heard, then you are not being consulted. And that is a human rights violation.